For all the hype about fad diets and the latest health crazes, most people really don't know much about nutrition and how to select or prepare dishes that are both healthy and yummy. At Doctor Grandma's we strive to help people live healthier and happier lives by sharing ideas about healthy foods and nutrition. 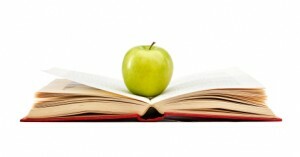 Our library features articles and studies with detailed information about different aspects of healthiness and yummyness. We understand that yummyness -- the attractiveness and enjoyment inherent in the dishes -- is also vitally a part of the solution.